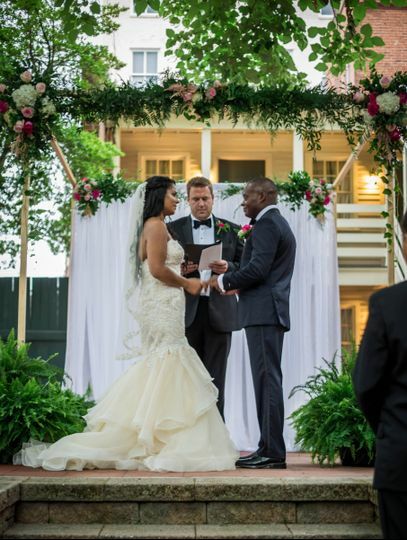 Linden Row Inn, a historic wedding venue in Richmond, Virginia, is ideal for couples wishing to exchange vows in a setting steeped in history. 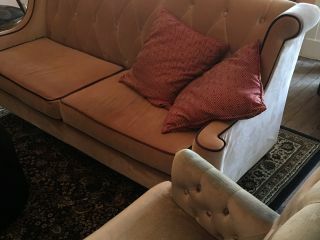 Furnished with antiques from the middle and late 1800s, the venue is featured on the National Registry of Historic Places. A staple in the wedding industry for the past 30 years, Linden Row Inn is the perfect choice for capturing the importance of your special day! 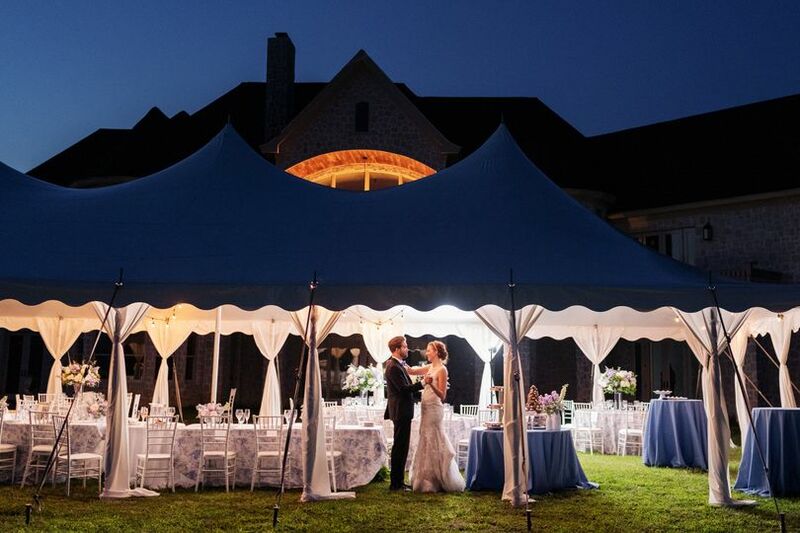 Linden Row Inn can accommodates up to 125 guests and offers couples two event spaces to host their ceremony and/or reception, as well as rehearsal dinners, luncheons, and farewell brunches. Linden Row Inn is a four-story inn comprised of 70 guest rooms, including seven suites. 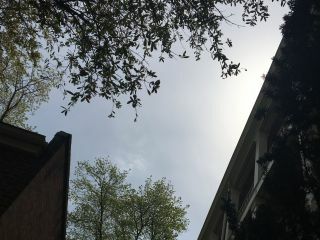 Comprised of seven row houses built in the mid-1800s, Linden Row Inn was the location in which Edgar Allan Poe courted his first love, Elmira Royster Shelton. Described in his famous poem “To Helen” as an “enchanted garden”, the venue was fully restored in 1988 as a full-service inn. Conveniently located in the historic Monroe Ward district of downtown Richmond, Linden Row Inn is 15 minutes from Richmond International Airport, four blocks away from the Greater Richmond Convention Center, five blocks from VCU Monroe Park Campus, and within walking distance of many sought-out restaurants and bars in the downtown area. We are just thrilled with our experience at Linden Row Inn. 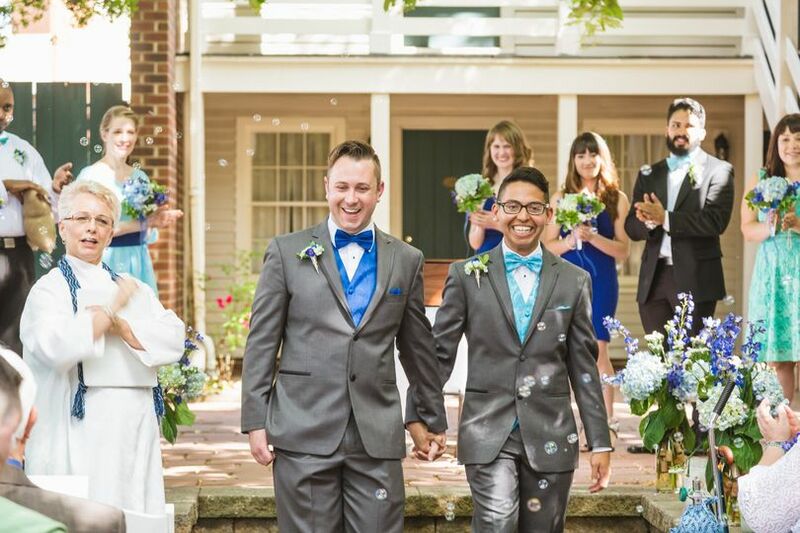 We hosted 100 people for our ceremony and reception and the weekend was just perfection. I loved that everyone from out of town was able to stay at the Inn, therefore transportation was taken care of and everyone was together the whole weekend. The location is right in the heart of the city, but you feel like you are in a countryside English garden. 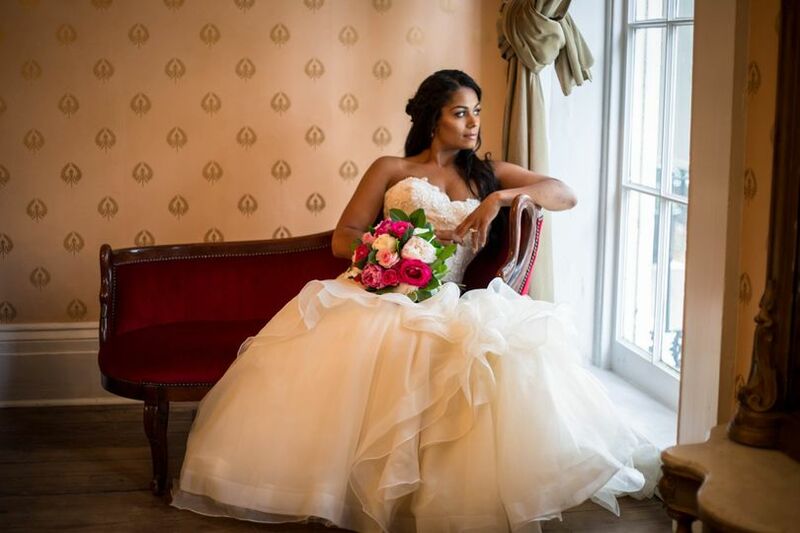 All of the rooms are spacious and beautiful, perfect setting for the bridal and groom suites. 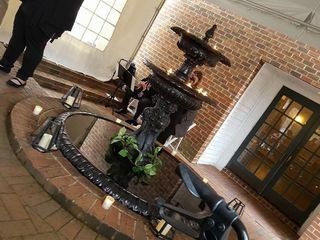 The garden was stunning, ended up having a clear-roof tent in the garden that accentuated the brick architecture and the abundant greenery surrounding the space. 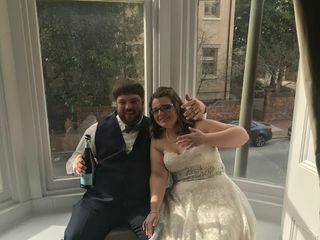 Urban Farmhouse was excellent in our catering needs and were so helpful, generous, and easy to communicate with throughout the whole process. We met with Nancy, the catering manager, and both Kathleen and Dale, the owner and head chef, several times during the process and couldn't be more fantastic. Casey, the venue manager, was a dream. 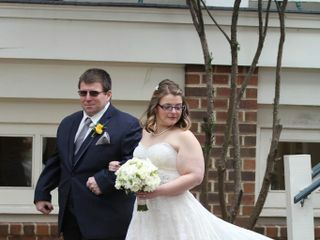 She was so easy to work with, made us feel so special and cared for, and made sure everything was perfect on our day. The staff at LRI were so helpful and kind as well. 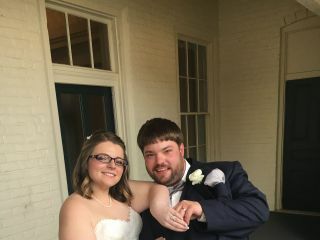 Linden Row was the best choice I could have made for our September wedding! The venue was gorgeous and the staff was beyond accommodating. From start to finish, the day went off without a hitch. Casey let us know what exactly to expect and was super responsive to any questions I had. The great thing about the location is that you can have your out of town guests stay right there, so they don't need to worry about driving to another spot after the event. The only thing I wish was different was the option to bring in our own catering. 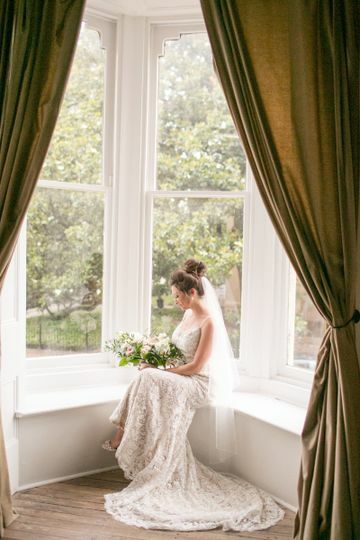 To start: GET THE BRIDAL SUITE. 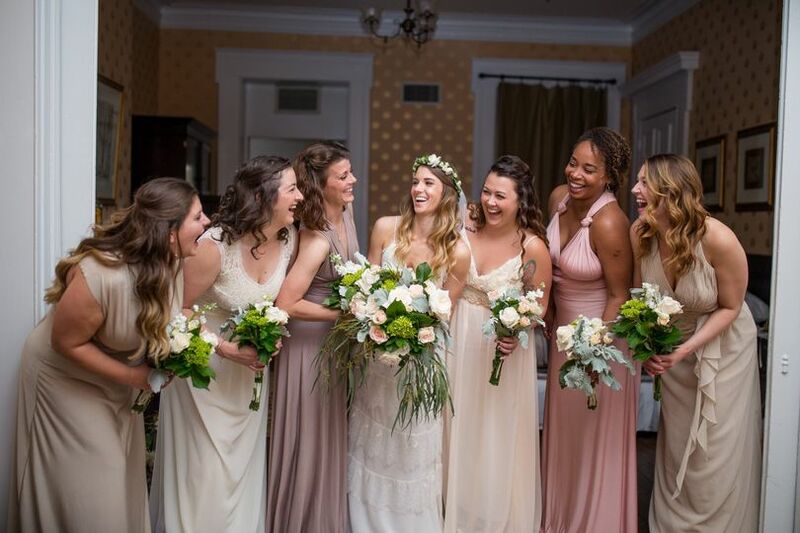 It's the fanciest, swankiest room we have ever seen, complete with original floors, a bay window, velvet couches, and chandeliers—a sitting room large enough for getting ready with all of your bridesmaids, and sharing time with family. 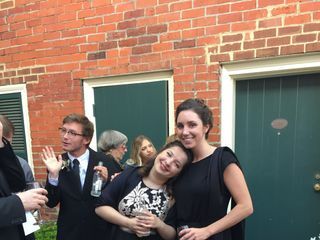 Linden Row in was the most wonderful location to hold a wedding—historical, efficient, and so "classic Richmond." 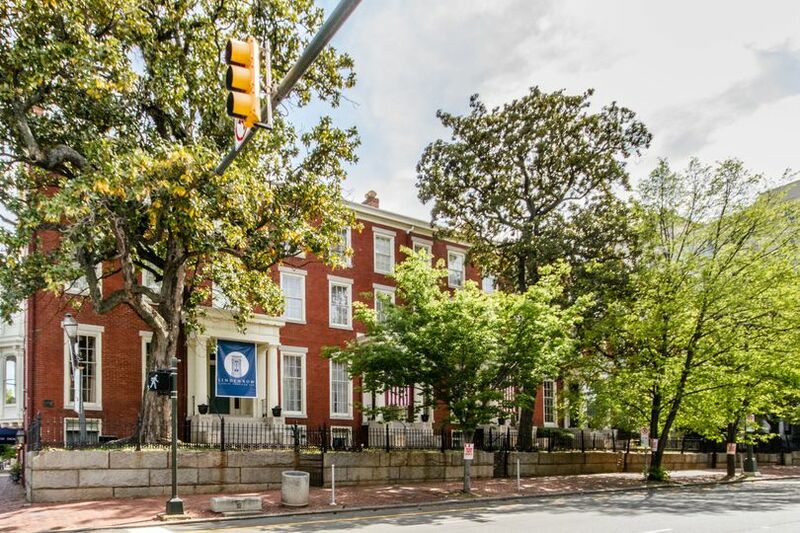 Did you know Edgar Allen Poe lived there? We love that they allowed us to be flexible with making their own music and bringing our own sound system. They were very sweet and accommodating and the staff was bragged about by everyone who attended! 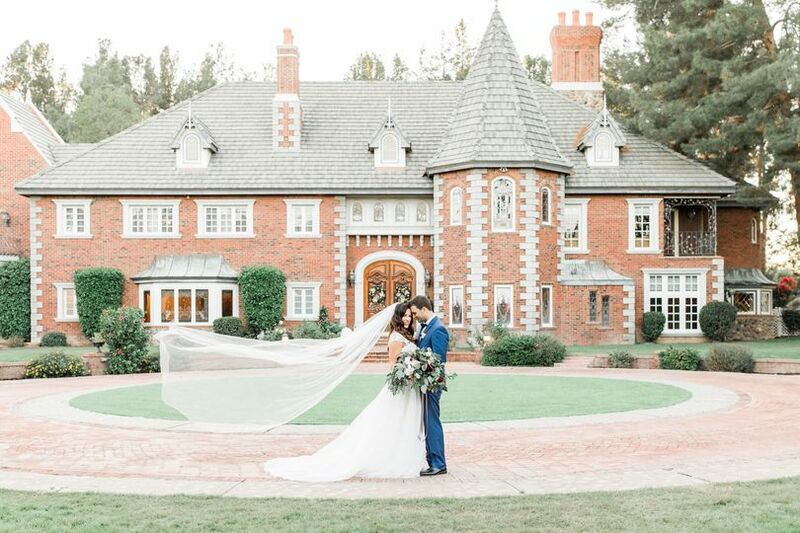 The staff could not have been more on top of things or friendlier—just top notch, in service and in flipping the courtyard from ceremony to reception. Our one qualm was that the food did not live up to the original tasting that we had had. Both entrées were fairly dry and bland from Urban Farmhouse. The tasting was delicious, so I'm not sure what happened that night. 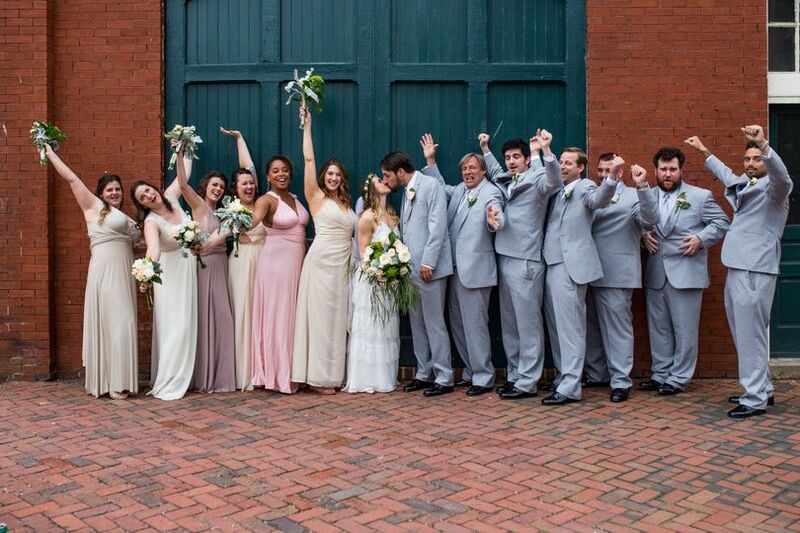 All in all, having all of our guests in one location from the rehearsal dinner all the way through the reception, ceremony, and breakfast the next day at Urban Farmhouse, it is an all inclusive wonderful, historical place with fantastic large green doors in the alley for amazing photo ops. Love this quaint and historic venue! Their garden is fabulous (even with our tents!) and their sales team/coordinators are the best! 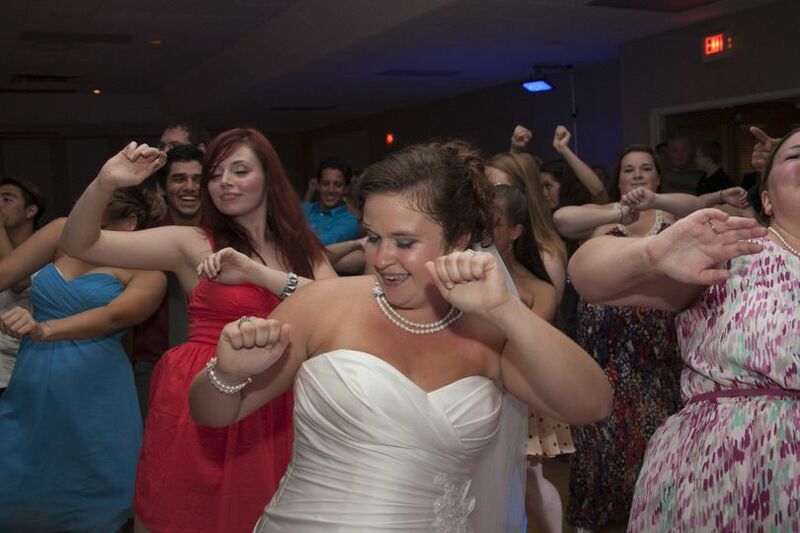 We highly recommend hosting your wedding at Linden Row Inn! 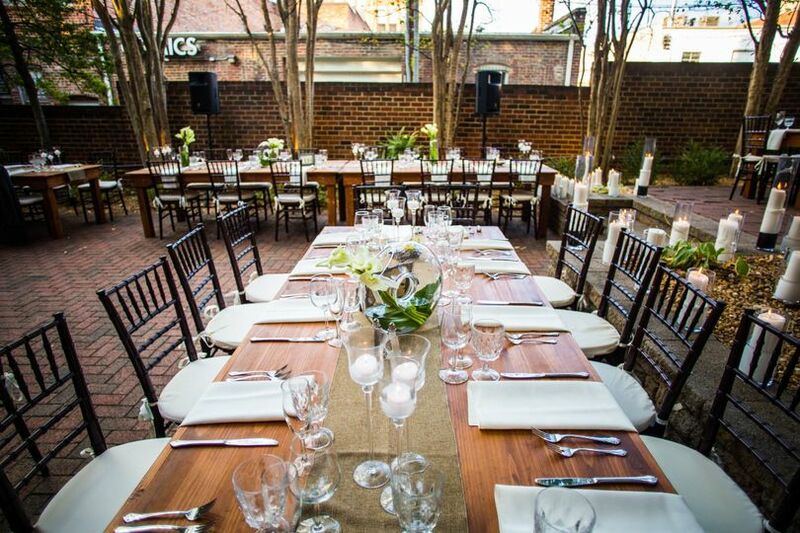 Linden Row has all the appeal of an historic downtown Richmond wedding and is just the perfect size for a small to moderate sized guest list. It is charming and lovely and you always hear wonderful things about Linden Row! I can&apos;t wait to visit soon! 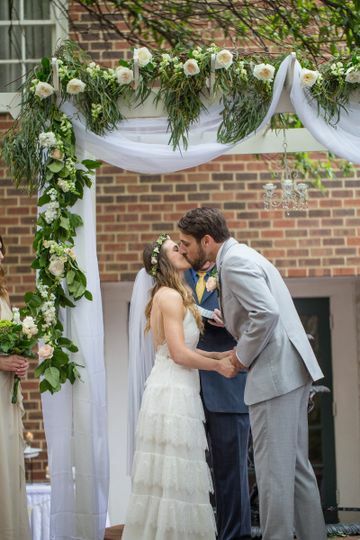 Wonderful Intimate Historic Venue perfect for Garden Ceremonies & Receptions!